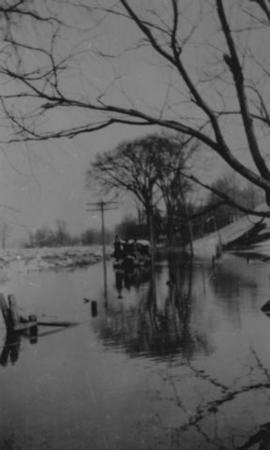 Item is a photograph of flood water on a street, caused when Moe's River flooded. 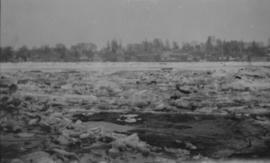 Item is a photograph of flood water from Moe's River, with a city in the background. Item is a photograph of a bridge that was destroyed when Moe's River flooded.